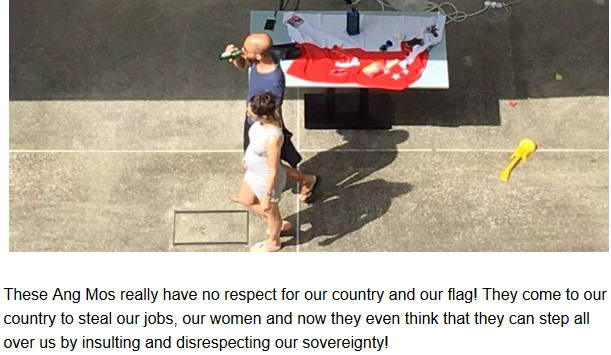 The BBC, ever vigilant for a stick with which to beat Israel, reports that Israel has apologised to Singapore for the misuse of the latter's national flag, employed as a tablecloth at a private function given by a junior diplomat. What's a little rich, however, is that the individual who snapped the photos of the offending cloth employed a racist epithet in referring to the individuals concerned. "Ang Moh" is a derogatory term for white people. Trust the dear old BBC to skip over the racist epithet, as well as the conspiratorial allegation. This is entirely true to form, for in the leftist mindset only racism by whites is reprehensible or worthy of the R word. The BBC’s latest antisemitic offering began with a preview of the new television blockbuster drama series starting just after Christmas. 'Dickensian' is a mashup of Dickens most popular works. In the preview, Fagin is a stereotypically sinister, snarling Jew with a prominently worn Mizrachi Jewish skull cap. Fagin is shown in profile to cinematically disturbing effect. And that was just one program on offer to viewers. Thanks for this - I find it intriguing.